He worked with Raymond Loewy's Studebaker staff in South Bend, IN, then headed to the Sears Roebuck Design Department in Chicago to replace Jon W. Hauser in 1945. He built the department into a well-integrated professionally-run consultancy within Sears, servicing buyers, supervising outside consultants, setting standards of design and coordinating with management and Sears' many sources, while also designing products himself. 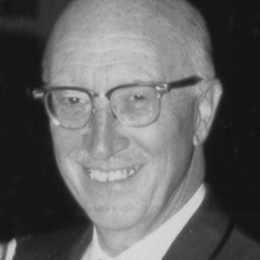 Bjorncrantz hired Alan Duncan, who worked for Dave Chapman before the war, and who replaced Bjorncrantz as manager when he retired in the early 1960s. He soon also hired other postwar designers including Joe Cousins, Penny Lee and Phil Egan. By 1960, the design staff totaled 12. An active member of the Industrial Designers Institute (IDI), he was awarded Fellowship, and this was honored by IDSA in 1965 following the merger with the American Society of Industrial Designers (ASID) and the Industrial Designers Education Assocation (IDEA).